The goal of any business, including medical practices, is to make money. Payments are the result of the charges that have been entered and billed for. We have not yet covered the billing process. This will be covered in the next chapter. We will follow that up with a payment entry comparison chapter that will discuss the various ways of entering payments into Medisoft. This chapter will discuss how to enter both patient and insurance payments using the Transaction Entry screen. Date: The Date field should contain the date the payment was received. This date will default to the date set in the lower right corner of the Medisoft program. Pay/Adj Code: This field is where you enter the code you previously set up for the type of payment you are entering. Medisoft can print out various reports that are based on the procedure code that was entered. Using more specific payment codes for the different types of payments will allow you to get more detailed and specific information from these reports. For example: If you set up different payment codes for payments from each insurance carrier, you will be able to easily run reports showing how much money came in from each carrier. If you set up a generic “Insurance Payment” code, you will not have the ability to filter on this level. Who Paid: The Who Paid field is critical when entering payments. This field determines who gets credit for the payment. If you select a payment code that is set up for insurance payments, and then select the guarantor in the Who Paid field, the payment will not register properly as an insurance payment. The Who Paid field is one of the fields you should look at when troubleshooting incorrect aging balances or remainder statement discrepancies. If payments have been entered and applied, but have the incorrect value in this field, you may find transactions not appearing on remainder statements when they should. You may also find transactions appearing on the insurance aging reports after they have been paid. Description: This field is used to give additional information regarding the payment. It is not a required field. Provider: The Provider field is used to specify which provider is receiving the payment that is being entered. If you are in a multi-provider practice it is critical that you enter the correct provider in this field. Failure to do so could affect your ability to analyze the amount of money being brought in by each provider. Amount: When entering the Amount, you will find that the program automatically makes any amount entered negative. This is because it is impossible to make a payment that increases the amount the patient owes. Any time you need to increase the amount a patient owes or need to issue a refund, you must use an adjustment code instead of a payment code. Check Number: If the patient or insurance carrier pays with a check, this field is used to hold the check number. This will help you follow up if there is ever any question regarding which charges were paid with a specific check. Unapplied: Similar to adjustments, payments must be applied to specific charges. The unapplied column will tell you what portion of that payment has not yet been applied. The values in this field cannot be modified from this screen. Once you have entered all applicable payment information, click the Save Transactions button. The payment application process is going to vary based on whether the payment is an insurance payment or a patient/guarantor payment. This screen is similar to the adjustment application screen with a few differences. As in the adjustment application screen, you see charges represented by the Date, Document or Superbill number, Procedure Code, original Charge amount, and Balance. Additionally, you will see a column labeled This Payment, where you will enter the portion of this payment that will be applied to each specific charge. The two new columns you will see are Payor Total, and Complete. Payor Total: The Payor Total column will list how much has already been paid by that payor for each charge. The payor was determined in the Who Paid field of the Transaction Entry screen. Complete: The Complete field is one of the most important fields within the Medisoft program. 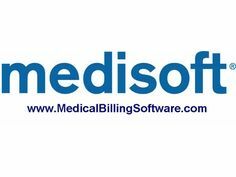 This field affects claims, statements, aging reports, remainder balances and many other functions within Medisoft. This box indicates that this payor has completed their responsibility for this particular charge. Placing a check mark in this field will move the responsibility for the remaining balance from the payor selected in the Who Paid field to the next responsible payor. In most cases, you cannot bill secondary claims until the primary has paid. Remainder Statements will not print unless all responsible insurance carriers have made a COMPLETE payment. This field will only appear if the payment Who Paid field is set to an insurance carrier. We will discuss the effects of this field in more detail when we discuss claims, statements, and reports. Most insurance payments should be marked as Complete. The only reason you would not check this field for an insurance carrier would be if you expected to receive more money from the carrier for that particular charge.